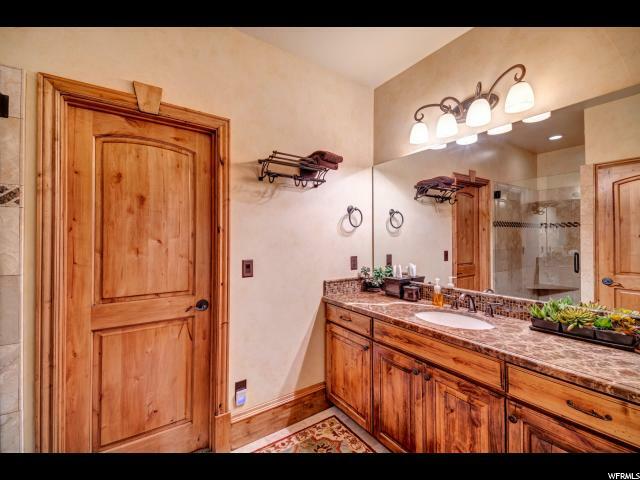 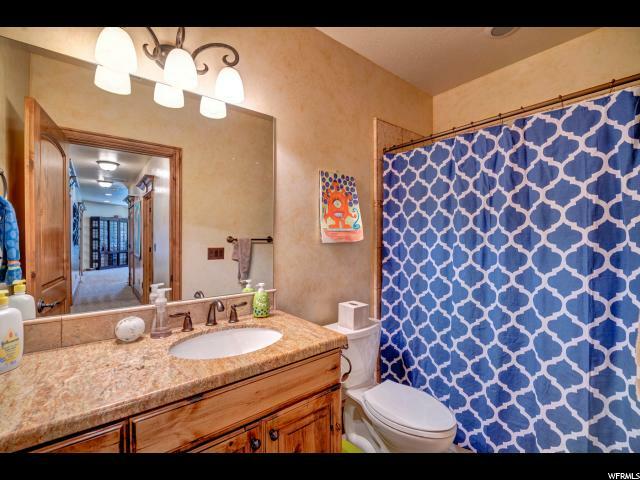 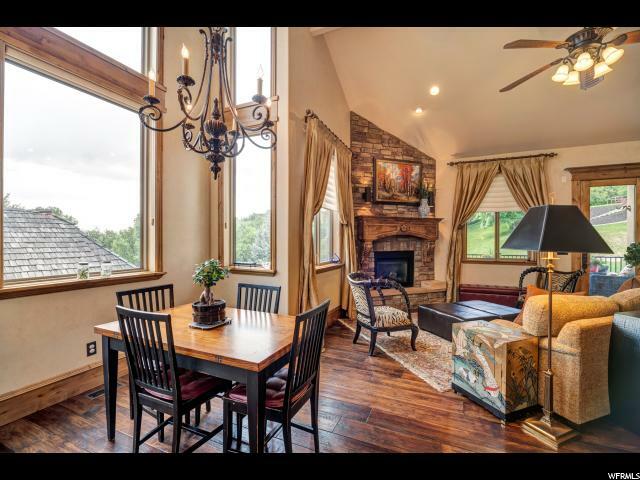 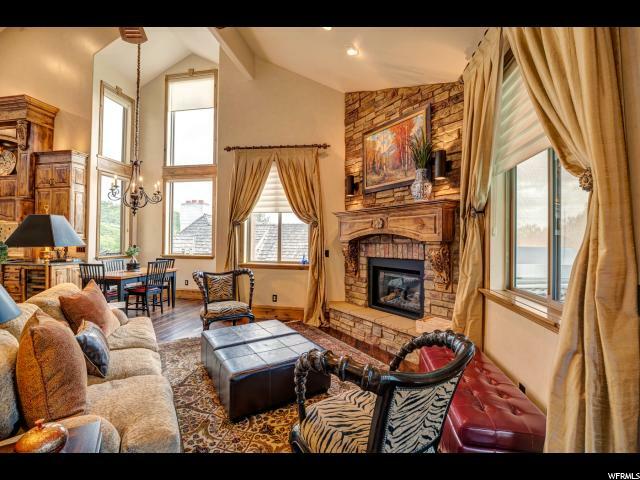 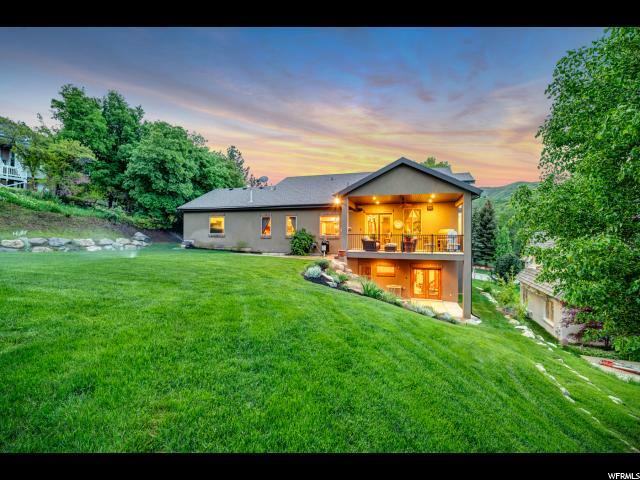 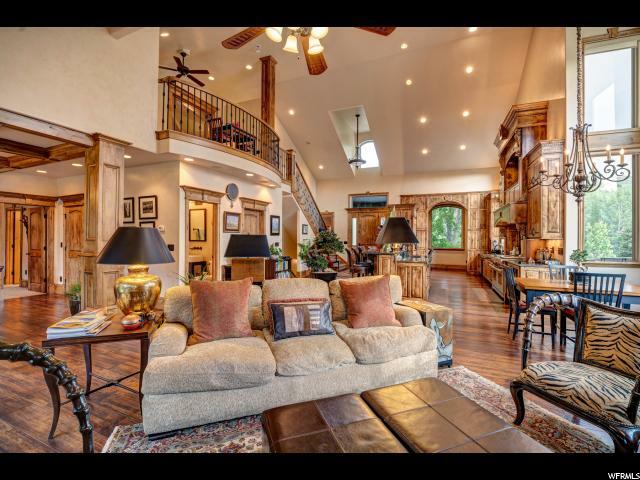 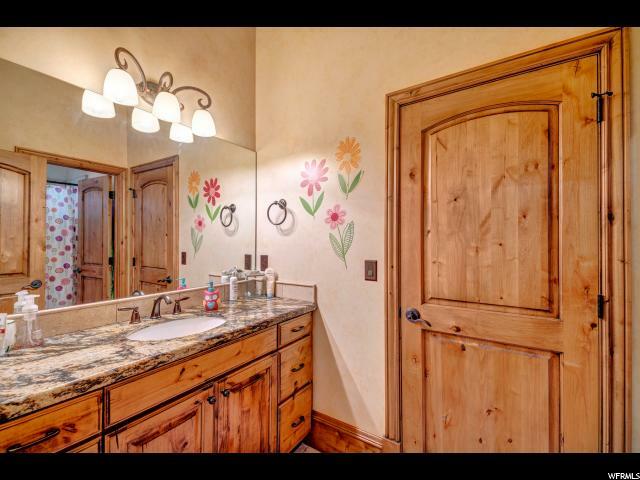 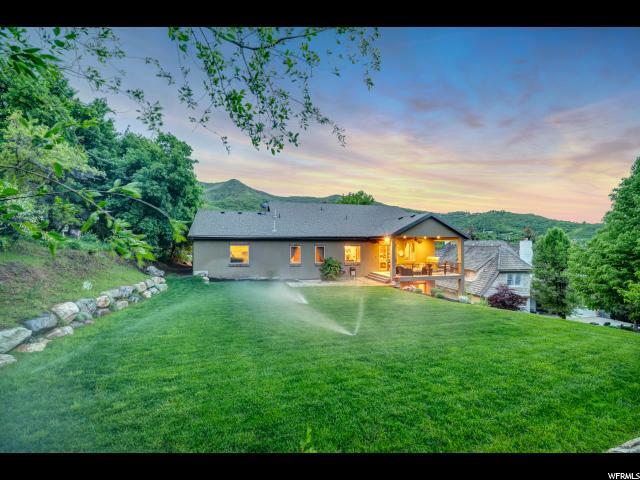 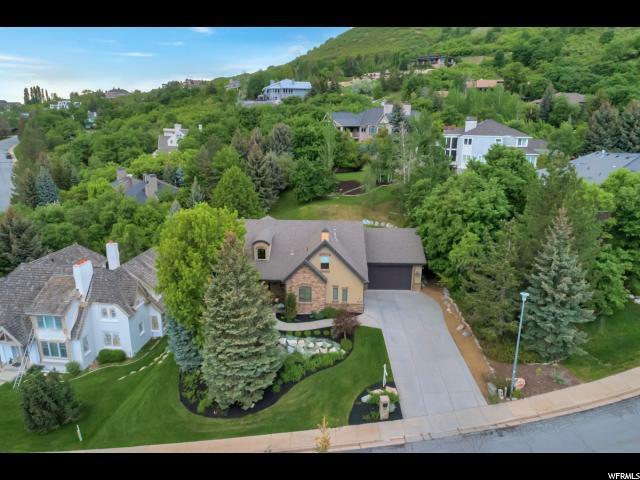 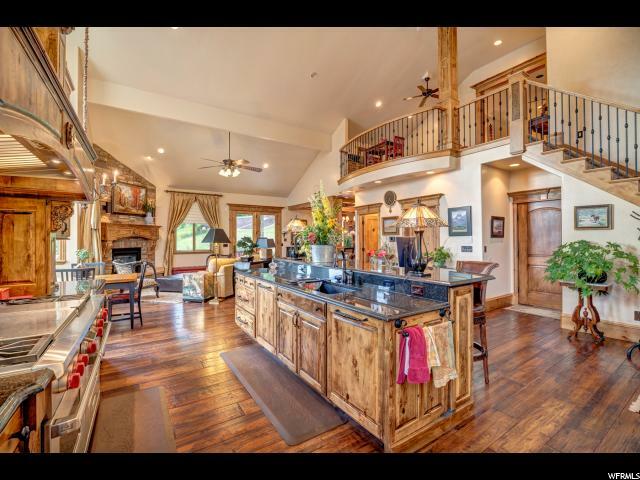 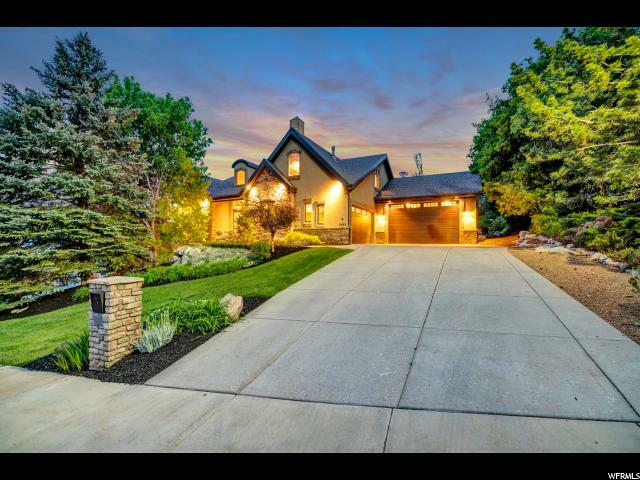 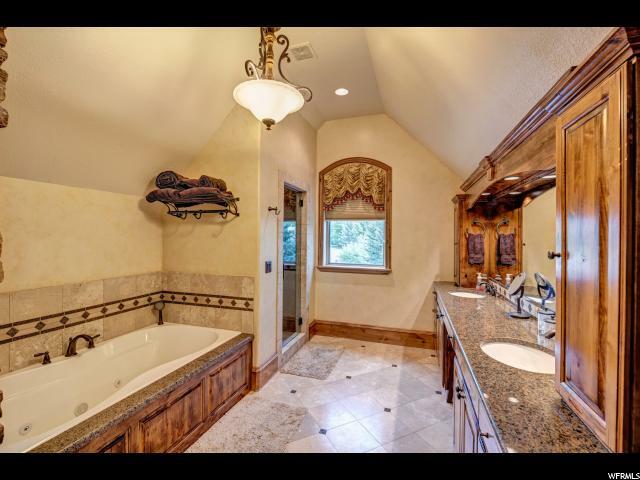 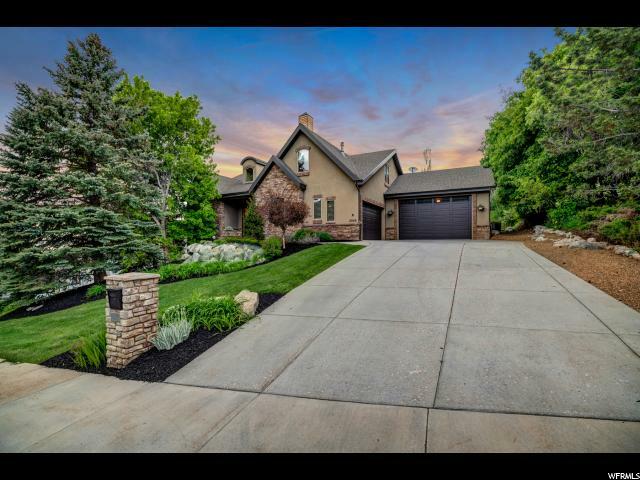 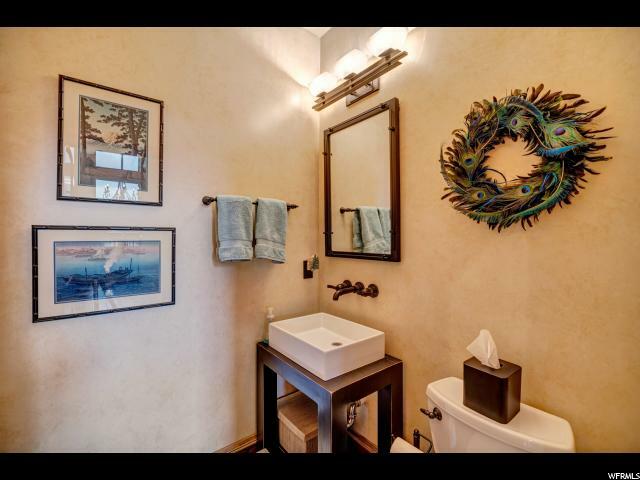 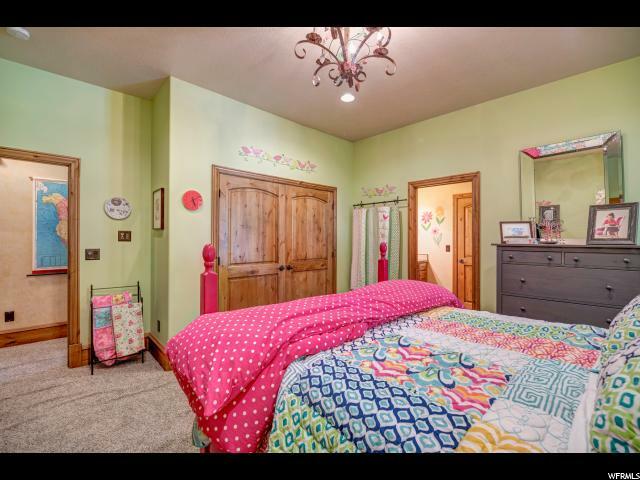 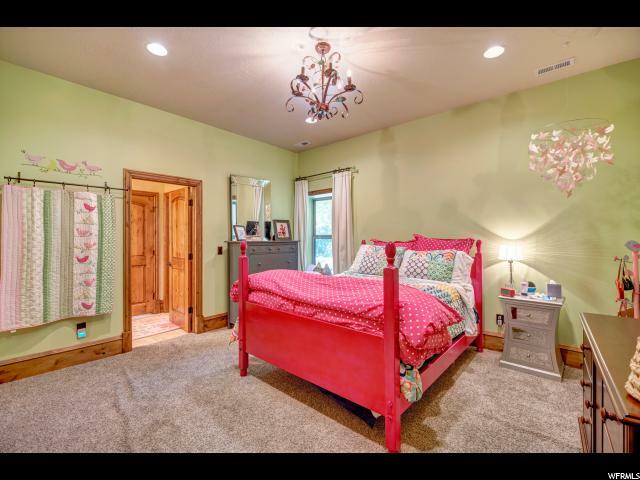 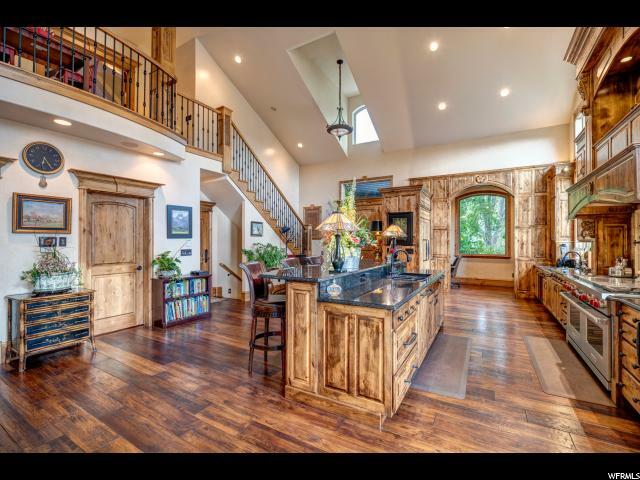 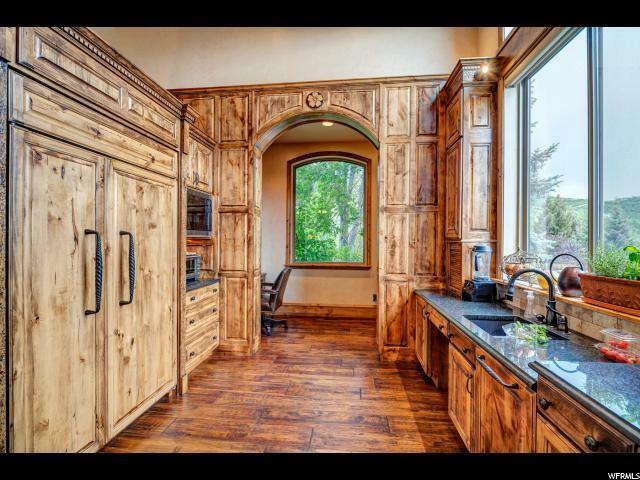 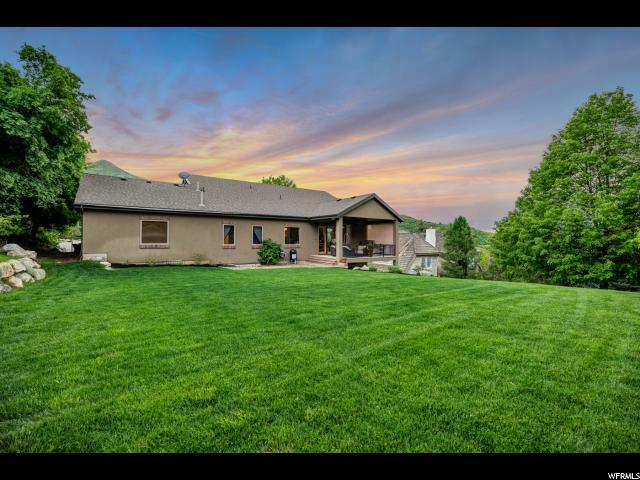 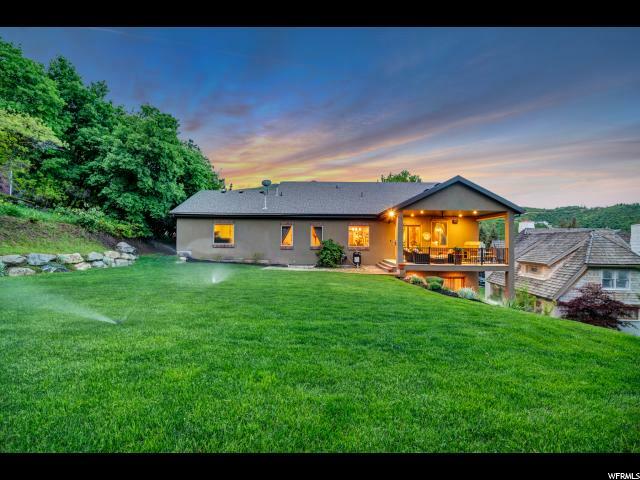 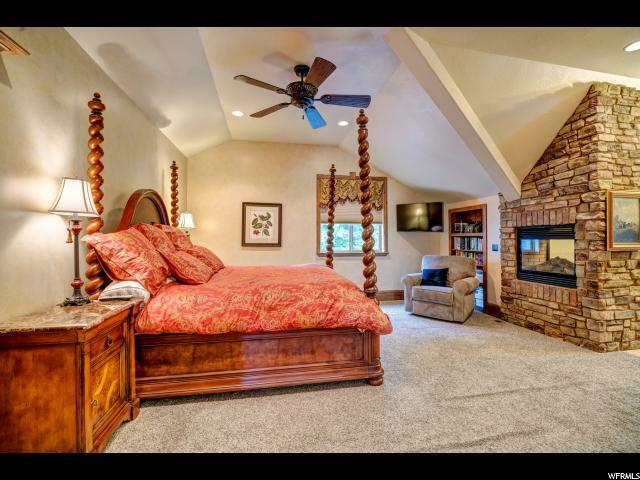 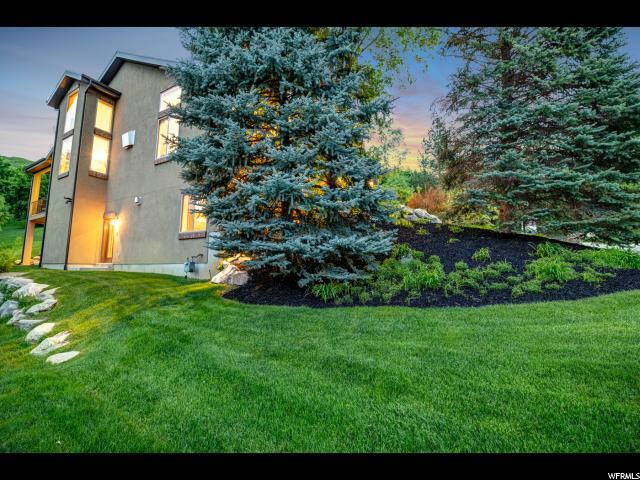 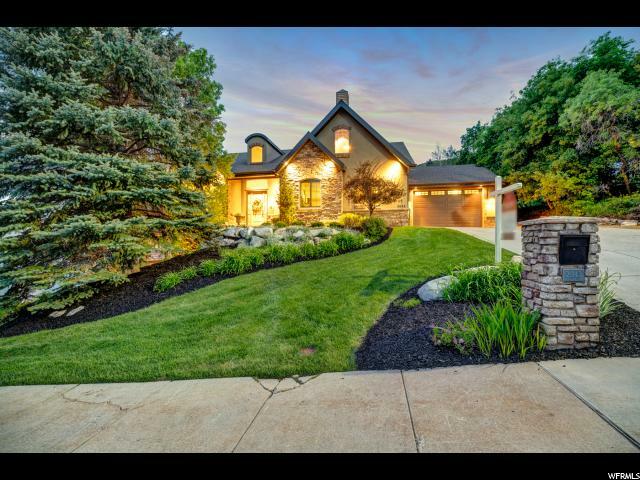 Hidden in the breathtaking and majestic hills of Bountiful, less than Â¼ mile to Mueller Park. 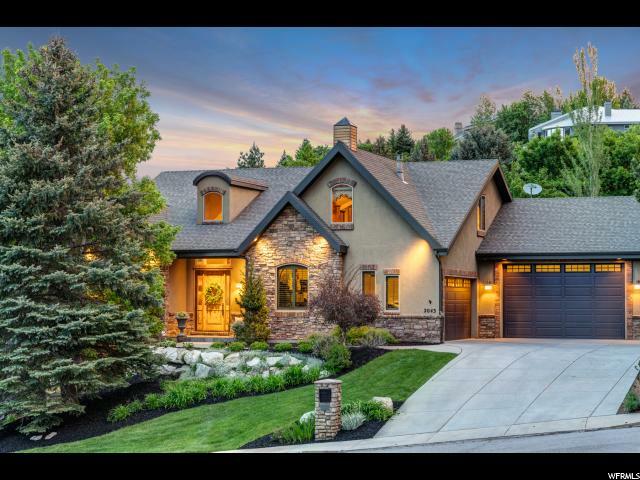 This masterfully crafted one-of-a kind custom home was built to the latest load bearing codes for snow, 50 year shingles, high wind/hurricane and earthquake codes. 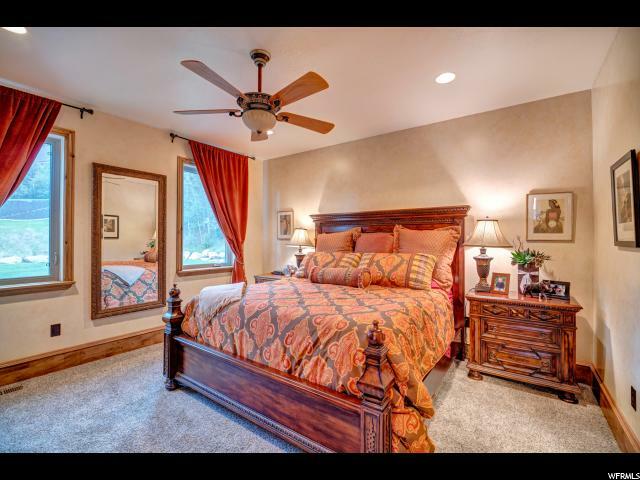 Panoramic views of mountains, and city lights from nearly every oversized picturesque window! 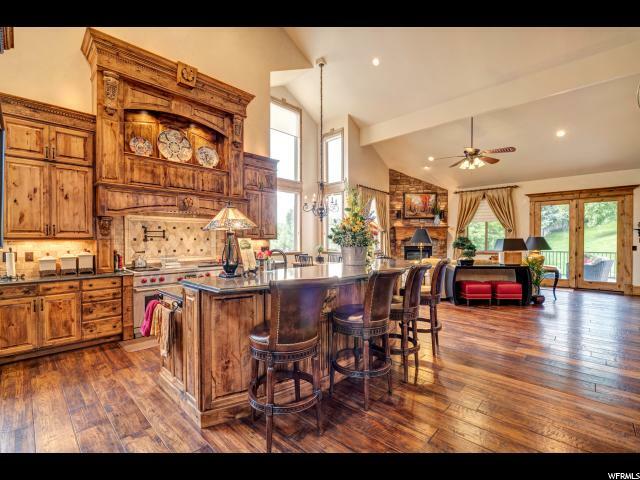 The open concept gourmet kitchen is a chef's delight with top of the line appliances, Subzero refrigerator, two dishwashers, warming drawers, ice makers, double ovens, pot fillers, butler's pantry and kitchen office. 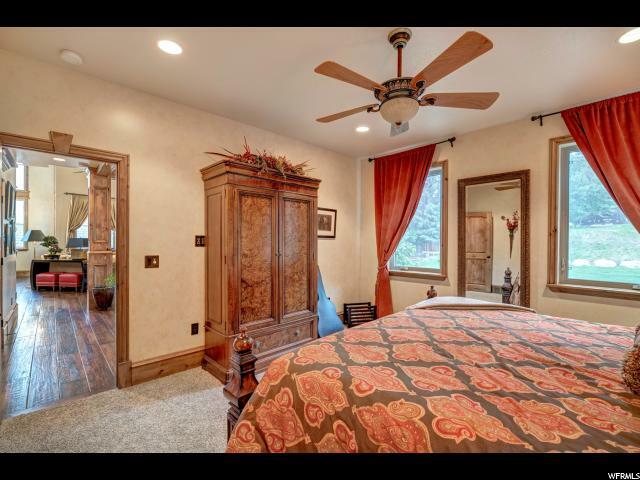 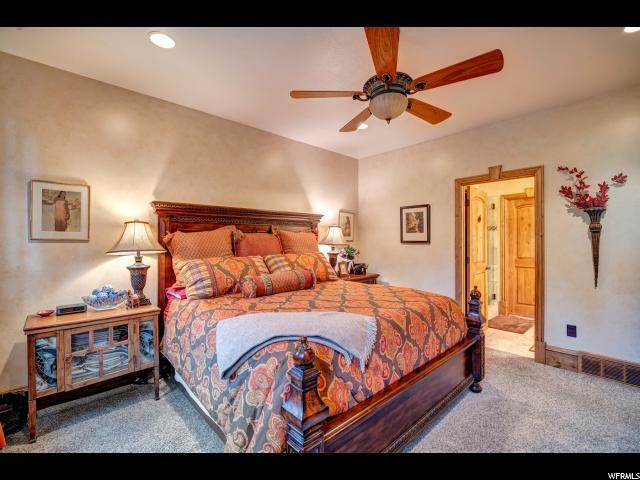 The main floor features a master bed and bath that could double as nanny quarters or a mother-in-law suite. 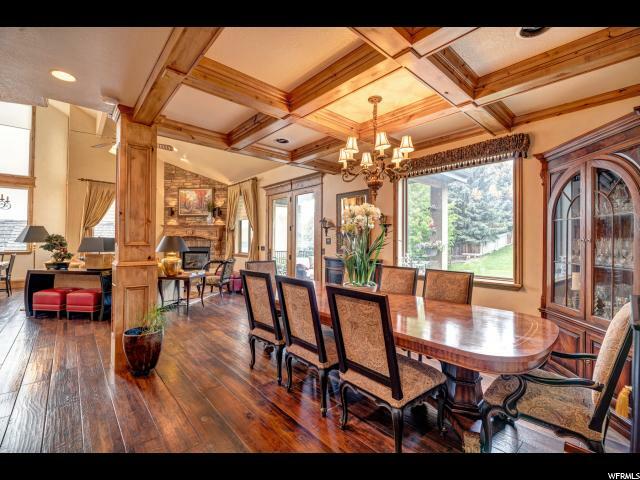 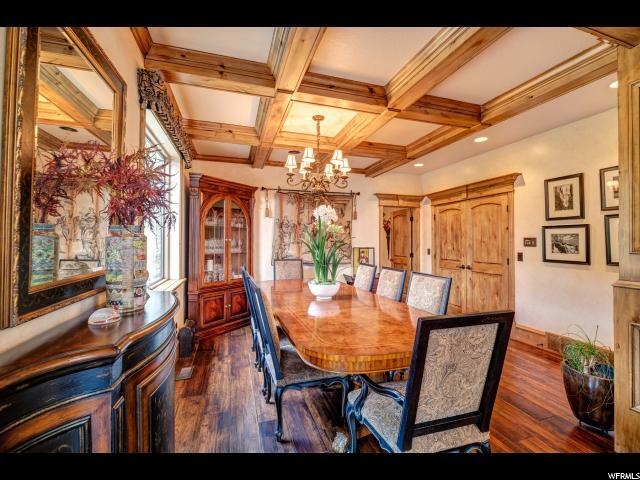 The formal dining has coffered ceiling. 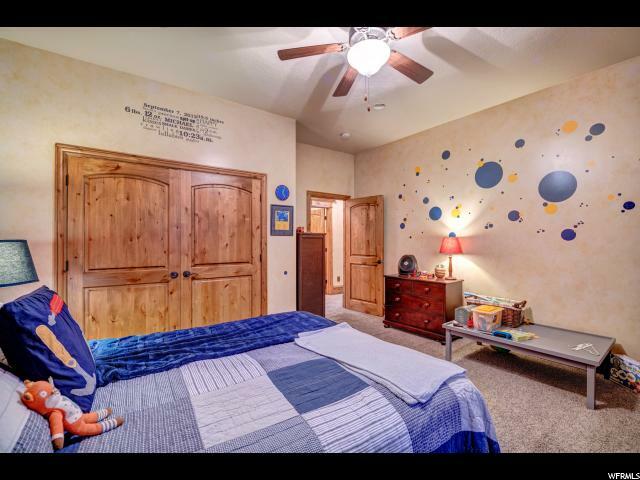 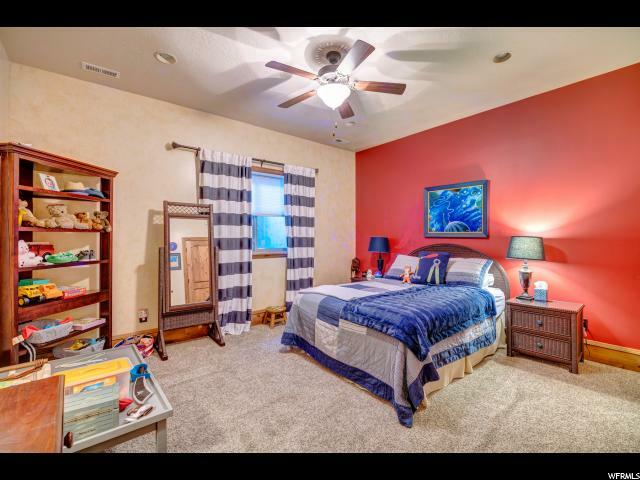 The upstairs master bedroom has a steam shower, bidet, garden tub, oversized double vanity, huge walk in closet, washer & dryer and a hidden room. 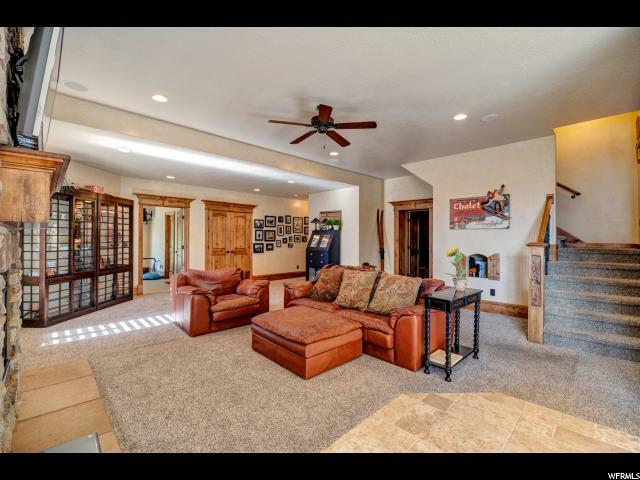 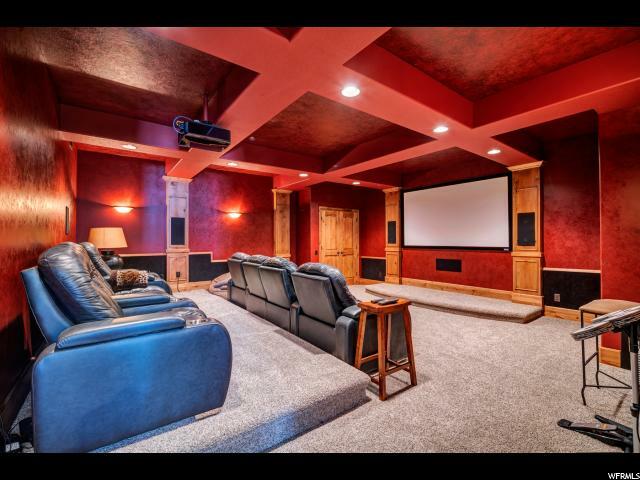 The house has 3 fireplaces, one on each floor, a stunning theater room, daylight basement with 2 walk outs, large family room, 3 bedrooms and 2 full baths and large laundry room. 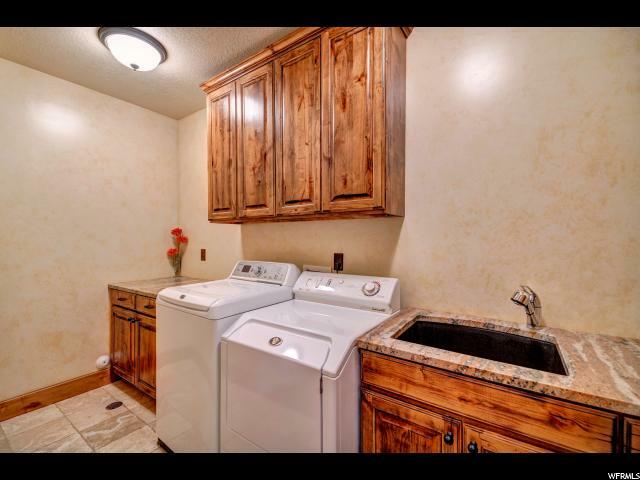 Basement is wired and plumbed for 2nd kitchen. 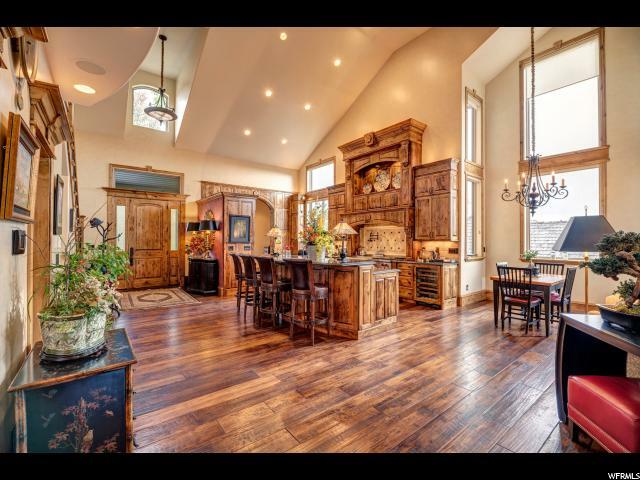 Beautiful wood finishes throughout the entire house, floors are solid 8-inch hand scraped hickory, travertine, marble, tile and carpet. 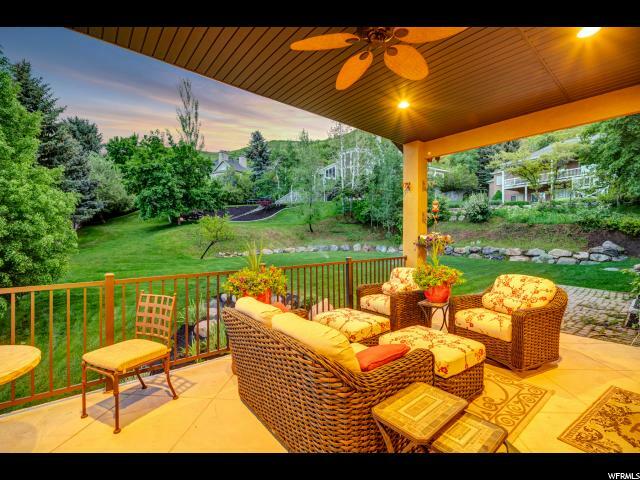 The backyard is flat great for a pool or tennis court, large trees, beautifully landscaped and large covered patio.